You are here: Home / Marketing / How to Advertise For a Super Competitive Niche Market? Recently I had a discussion with a friend who is a lead developer for a travel related website. The site is not only about hotels in different cities but their website also focuses on other options for accommodations like hostels, paying guests even flats for share. I was not very keen to discuss internet marketing of travel related site with my friend because I knew for sure the client had a very limited budget for development and so for marketing I am damn sure it is never going to be much of a budget and without much budget, there is nothing much that can be done on this website and still they wanted me to comment on SEO and how they can increase the traffic to their website. The question was simple like – How can we increase traffic to the site with SEO? Before you can increase traffic to any site with SEO you have to consider couple of things. 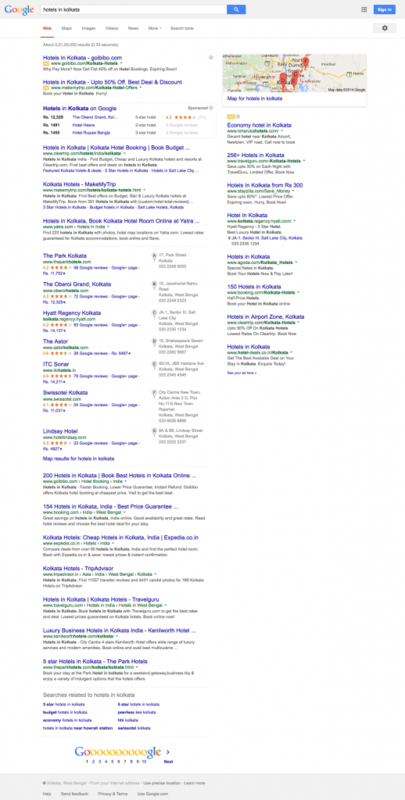 Is SEO a viable option? He showed me that they have some links they had in their footer with keywords they wanted to target. Keywords like “Hotels in <>” They had SEO friendly url to those links that populates search results and they have done meta keywords and descriptions but nothing much happened after that. So this is where you have to understand that how you should approach SEO for website. If you are targeting SEO as a source for your traffic, just try searching in Google and see what comes up for you. So if I search in Google Hotels in Kolkata, I see this. And if you think you can beat them in SEO, you have a tough nut to crack. So according to me SEO is not a marketing option for any travel related site. When SEO competition is low? You may think that SEO is not a viable option when competition is such fierce but then at times if competition is nil, it may not be an option either. So you are selling abrakadabra stuff. When you Google for buy abrakadabra and there is no major site for the term and so you think that SEO is perfect for you. You can easily rank on top but then it is not only about ranking on the first page of Google. You can just invent a new term for your site and you may end up ranking on the top of Google without any competition. The question is how many users search for it or are looking for it. 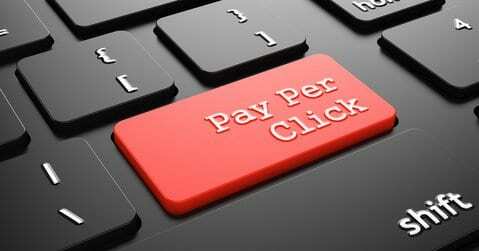 SEO and PPC works fine for grabbing traffic where user knows about the product and is looking more about it. Let me share with you a simple example. I have an eBook about technical analysis. For SEO and PPC one of my keyword is learn technical analysis and so anybody searching for learn technical analysis have heard about it and want to know more about it. SEO works for sites and services where user knows about the product and search for it and not otherwise. So if you are selling abrakadabra, user should know about abrakadabra and then search for it with some related terms and keywords and then land up on your site but if you are offering a very unique kind of services that user is not aware of, SEO may not work. So SEO and PPC may not work well for travel based hostel and PG accommodations because those terms are for user looking for a property related options and not travel related option. User is not aware of travel based PG options and so is not likely to search for what you are offering. How to Approach Online Marketing? So back to the original question of how to approach online marketing and drive traffic a site. Once you know that neither SEO nor PPC is an option that you can afford, it becomes that much more easier to focus on things that you know may work for your site. So to understand how to approach online marketing you have to understand what other marketing channel options are available and how you can use them for your site. When you hit a road block with SEO and PPC the next option is always social media marketing. You don’t need to get into advertising into each of those options and can work on generating content where users can interact with your site content on such media. When you target audience over social media, you target audience is based on interest, gender, age, education … but they are not actively looking to buy anything. So you have to get engaging content for your Facebook audience and make the most of your audience to get viral on Facebook. So for a travel related site the best option is to share pictures of every accommodation being offered and make it interactive for users to review as well as re-share them with their friends. When we talk about social media, we think about Facebook only but YouTube can be effective marketing channel as well. They can create documentary detailed videos about each hotels in a particular city and target SEO along with YouTube as channel for marketing. So for the keyword Hotels in Kolkata, it may be impossible to get on first page of Google for your site but if you can create a documentary about Hotels in Kolkata and upload that content to YouTube, your video can rank well in Google for that term and drive traffic to your site. Definitely the quality of the video will decide the ranking. You can use various channel to drive traffic to your site but then not all of those user will convert and become member. So you can use Google’s display network as well as Facebook advertising to re-target them with ads related to section of the site they were on your site. It can help you minimize the cost of marketing and get better conversion rates. The ideal targeted customers for re-targeting are those who spent considerable amount of time on the website. Search ads are a pull strategy where user is already searching for what you offer and is exposed to your ad but display network and re-targeting is more of a push strategy. Potential customers are exposed to your ads and your brand is in front of your potential customer over and over again to raise your brand awareness and eventually generates conversion. There cannot be a general rule of approach to marketing for every kind of site and each site has to find its own unique approach to marketing but when you are in very competitive niche, SEO may not be the right approach for sure. You have to look for other option to build users to your site. There are many other marketing channels like twitter, LinkedIn, Pinterest, Instagram and the list can just go on and on. You have to understand the potential of each of those channels and focus on the one that is the best for your business.